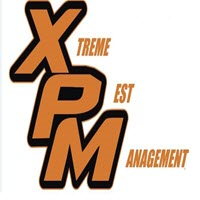 About Xtreme Pest Management, Inc.
Providing pest control services to both residential and commercial customers since 2008. What people say about Xtreme Pest Management, Inc. If you are seeking professional results... then hire a professional.. Kenny and company are EXTREMELY professional. Excellent job! More than happy that we switched to Xtreme! Very polite, shows up when scheduled and takes pride in ensuring a good job. Kenny and his crew are the best in the business. Very detailed oriented with inspection reports that include photos to help with the overall sanitation of the restaurant. If I ever have an issue he is always there to address it. I highly recommend his services to anyone looking for pest control in a business or home. Excellent customer service by a knowledgeable company that goes the extra mile to make sure your business is pest free. I highly recommend these folks. I have finally found a Pest management company that knows what he is doing and cares about it passionately. I have never been so happy with the service I receive. I can honestly say since he has worked with us on our Restaurant, that I have not seen any kind of bugs, rodents or any sign of them. He gives you detailed reports and works great with you to achieve the common goal. I have used many other pest management companies in the past. They all seem to just come in and go thru the motions. Kenny and his crew come up with a game plan that works and he makes sure it works. Kenny and his crew have gone above and beyond the call of duty to make sure our business is pest free. I can not say enough great things about this company. Highly recommend, which I have to my restaurant friends and the ones Kenny takes care of are as equally pleased with the service. If you want the best? Call Kenny. Great Guy and Great Crew. Prompt, polite and professional. Very patient when explaining my options. Thank you!